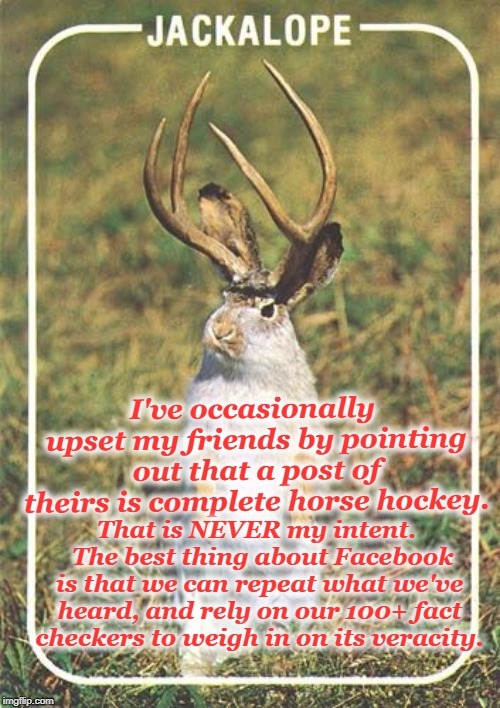 I've occasionally upset my friends by pointing out that a post of theirs is complete horse hockey. That is NEVER my intent. The best thing about Facebook is that we can repeat what we've heard, and rely on our 100+ fact checkers to weigh in on its veracity.